Crock-Pot 16-Ounce Little Dipper, Chrome $9.97 + FREE Shipping with Prime! 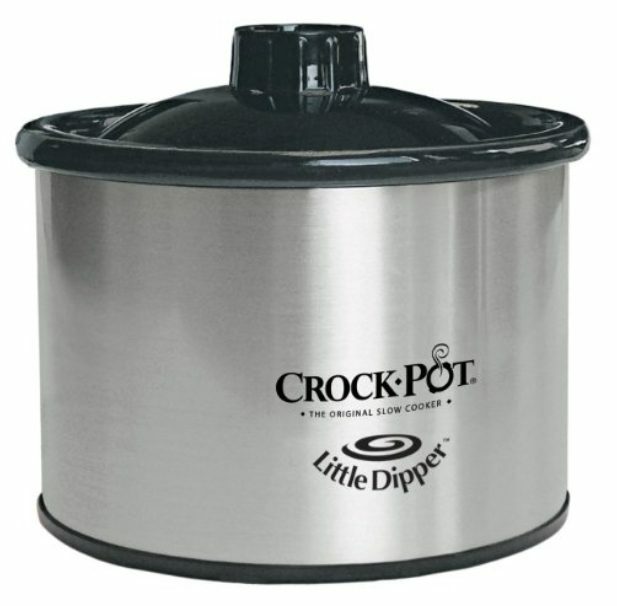 You are here: Home / Great Deals / Amazon Deals / Crock-Pot 16-Ounce Little Dipper, Chrome $9.97 + FREE Shipping with Prime! I love this little crockpot – it’s perfect for dips or little smokies. Get the Crock-Pot 16-Ounce Little Dipper, Chrome for just $9.97 on Amazon (reg. $19.99)! Super Saver Shipping will be FREE with an order of $35 or more or get FREE 2-day shipping with Amazon Prime. The perfect side kick for parties or entertaining at home, this 16-ounce Little Dipper warmer by Crock-Pot makes it easy to keep any favorite dip or fondue warm and ready to serve. Use it for anything from creamy spinach dip or cheesy fiesta dip to hot artichoke dip. It can also be used to warm maple syrup for pancakes or waffles or to melt chocolate for dipping fruit, cookies, and pretzels.